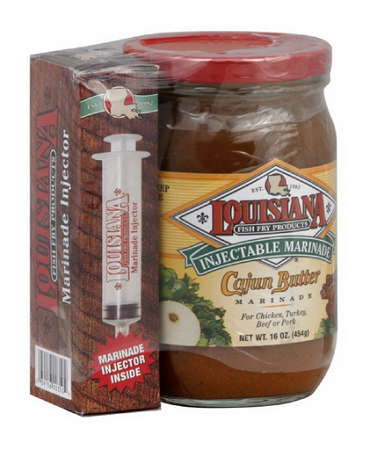 Whether you're frying, baking, or smoking, our new Cajun Butter Injectable Marinade is all you'll need for moist, flavorful turkey, chicken, beef or pork. Taste the difference that instant deep marinating can make! This is a 16 oz bottle and injection tool.